My last post was all about reviewing the awesome French Tip Dip kit. Well i wont disappoint with this new FTD color combo! Its my favorite yet! 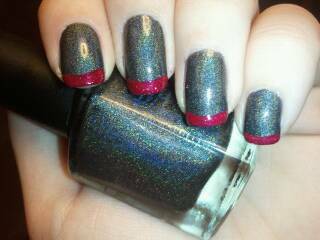 My love for holos and my love for tips, this couldnt get any better! I present to you Color Clubs Revvoloution base coat. 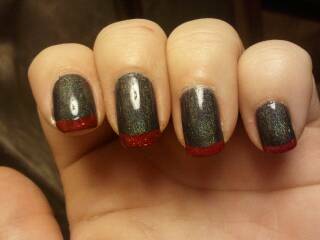 Tipping it off with Petites Rock N Red and a lil Sally Complete Mani Downtown Rubies!